Colombia Section 1004 Counter-Drug Assistance 2006; – United States, Department of Defense, Office of Freedom of Information, Freedom of Information Act Request by Marina Walker Guevara, Ref: 06-F-0839 (Washington: September 26, 2006) (Link to source). Colombia Foreign Military Financing 2006; Colombia Foreign Military Financing 2007; Colombia Foreign Military Financing 2008; – United States, Department of State, Report on the Uses of Foreign Military Financing, International Military Education and Training, and Peacekeeping Operations Funds (Washington: Department of State: October 27, 2009) (Link to source). Colombia Asia-Pacific Center 2007; Colombia Aviation Leadership Program 2007; Colombia Center for Hemispheric Defense Studies 2007; Colombia Counter-Terrorism Fellowship Program 2007; Colombia Non-Security Assistance – Unified Command 2007; Colombia Service Academies 2007; Colombia Asia-Pacific Center 2008; Colombia Aviation Leadership Program 2008; Colombia Center for Hemispheric Defense Studies 2008; Colombia Counter-Terrorism Fellowship Program 2008; Colombia Non-Security Assistance – Unified Command 2008; Colombia Service Academies 2008; Colombia Asia-Pacific Center 2009; Colombia Aviation Leadership Program 2009; Colombia Center for Hemispheric Defense Studies 2009; Colombia Counter-Terrorism Fellowship Program 2009; Colombia Non-Security Assistance – Unified Command 2009; Colombia Service Academies 2009; Colombia Asia-Pacific Center 2010; Colombia Aviation Leadership Program 2010; Colombia Center for Hemispheric Defense Studies 2010; Colombia Counter-Terrorism Fellowship Program 2010; Colombia Non-Security Assistance – Unified Command 2010; Colombia Service Academies 2010; – Estimate based on closest available year. 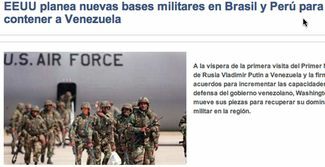 Colombia Excess Defense Articles 2008; – United States, Department of Defense, Defense Security Cooperation Agency, FY 2008 Excess Defense Article authorized and furnished to foreign countries under Part II, Chapter 2, Section 516 of the FAA (Washington 2008) (Link to source). Colombia International Narcotics Control and Law Enforcement 2008; – United States, Department of State, Bureau of International Narcotics Control and Law Enforcement Affairs, Program and Budget Guide 2010 (Washington: Department of State). (Colombia NADR – Anti-Terrorism Assistance 2007; Colombia NADR – Conventional Weapons Destruction 2007; Colombia NADR – Humanitarian Demining 2007; Colombia NADR – Conventional Weapons Destruction 2008; Colombia NADR – Conventional Weapons Destruction 2009; – United States, Department of State, Congressional Budget Justification for Foreign Operations (Washington: Department of State, February 2008) (Link to source). Colombia Section 1004 Counter-Drug Assistance 2008; Colombia Section 1004 Counter-Drug Assistance 2009; Colombia Section 1004 Counter-Drug Assistance 2010; – Estimate based on last available year. Colombia International Narcotics Control and Law Enforcement 2010; – U.S. Congress, Conference Report 111-366 for H.R. 3288, Omnibus Appropriations Bill for Fiscal Year 2010, December 8, 2009 [See pages 1500 and 1501 of the PDF file] (Link to source). Colombia International Military Education and Training 2008; Colombia NADR – Anti-Terrorism Assistance 2008; Colombia NADR – Anti-Terrorism Assistance 2009; Colombia NADR – Humanitarian Demining 2009; Colombia NADR – Anti-Terrorism Assistance 2010; Colombia NADR – Counter-Terrorism Financing 2010; Colombia NADR – Humanitarian Demining 2010; – United States, Department of State, FY 2010 Congressional Budget Justification for Foreign Operations (Washington: Department of State, May 2009) (Link to source). Colombia Foreign Military Financing 2009; Colombia International Military Education and Training 2009; Colombia Foreign Military Financing 2010; Colombia International Military Education and Training 2010; Colombia Foreign Military Financing 2011; Colombia International Military Education and Training 2011; – United States, Department of State, Executive Budget Summary: Function 150 and Other International Programs, Fiscal Year 2011 (Washington: Department of State, February 1, 2010) (Link to source). Colombia International Narcotics Control and Law Enforcement 2011; – United States, Department of State, Executive Budget Summary: Function 150 and Other International Programs, Fiscal Year 2011 (Washington: Department of State, February 1, 2010) (Link to source). Military aid estimate prorated by consulting INCLE economic to military aid ratio presented in United States, Department of State, Bureau of International Narcotics Control and Law Enforcement Affairs, Program and Budget Guide 2010 (Washington: Department of State) (Link to source). Colombia International Narcotics Control Economic Aid 2008; – United States, Department of State, Bureau of International Narcotics Control and Law Enforcement Affairs, Program and Budget Guide 2010 (Washington: Department of State). (Colombia Section 1207 Security and Stabilization Assistance 2008; – Nina M. Serafino, Congressional Research Service, Department of Defense �Section 1207� Security and Stabilization Assistance: A Fact Sheet (Washington: CRS, November 25, 2008) (Link to source). Colombia International Narcotics Control Economic Aid 2009; – United States, Department of State, Bureau of International Narcotics Control and Law Enforcement Affairs, Program and Budget Guide 2010 (Washington: Department of State) (Link to source). Colombia International Narcotics Control Economic Aid 2010; – U.S. Congress, Conference Report 111-366 for H.R. 3288, Omnibus Appropriations Bill for Fiscal Year 2010, December 8, 2009 [See pages 1500 and 1501 of the PDF file] (Link to source). Colombia Economic Support Fund 2009; Colombia Economic Support Fund 2010; Colombia Migration and Refugee Assistance 2010; Colombia Economic Support Fund 2011; – United States, Department of State, Executive Budget Summary: Function 150 and Other International Programs, Fiscal Year 2011 (Washington: Department of State, February 1, 2010) (Link to source). Colombia International Narcotics Control Economic Aid 2011; – United States, Department of State, Executive Budget Summary: Function 150 and Other International Programs, Fiscal Year 2011 (Washington: Department of State, February 1, 2010) (Link to source). Military aid estimate prorated by consulting INCLE economic to military aid ratio presented in U.S. Congress, Conference Report 111-366 for H.R. 3288, Omnibus Appropriations Bill for Fiscal Year 2010, December 8, 2009 [See pages 1500 and 1501 of the PDF file] (Link to source). Colombia Asia-Pacific Center 2008; Colombia Center for Hemispheric Defense Studies 2008; Colombia George C. Marshall European Center for Security Studies 2008; – United States, Department of Defense, Regional Centers for Security Studies Fiscal Year 2008 Report (Washington: Department of Defense, February 2009) (Link to source). Colombia Section 124 Counter-Drug Operations 2006; – United States, Department of Defense, Office of Freedom of Information, Freedom of Information Act Request by Marina Walker Guevara, Ref: 06-F-0839 (Washington: September 26, 2006) (Link to source). As we wrote last week on this blog, Defense Secretary Gates began his Latin America-focused week by signing a defense cooperation agreement with Brazil’s Defense Minister Nelson Jobim at the Pentagon on Monday. This accord will be the first in effect with Brazil in more than 30 years. The last one dates back to 1977. According to Secretary Gates, “this agreement will lead to a deepening of U.S.-Brazil defense cooperation at all levels and will demonstrate how much more effectively we can confront shared security challenges when we work in partnership.” Transcripts of the remarks by Secretary Gates and Brazilian Minister of Defense Jobim at the signing of the agreement are available here. There has been much comparison between the U.S.-Brazil agreement and the agreement the United States signed with Colombia last year. However, according to El Espectador, aside from the name “Defense Cooperation Agreement”, there is not much in common between them. The U.S.-Brazil agreement “has three fundamental differences: it does not allow presence of U.S. military personnel in the country and it does not include an immunity clause. Instead, it provides a broad general framework for cooperation in multiple subjects, among them information exchange, military exercises, research and development, and professor and student exchanges, which will not involve a lot of real changes.” The U.S.-Brazil defense deal does not reference a new base, as the Brazilian release stated, and contrary to the U.S.-Colombia agreement, it does not allow the use of Brazilian bases by the United States. On April 13th, Gates arrived in Peru looking to broaden relations between both countries’ militaries and to help the Peruvian military “restructure themselves and be more focused on their internal challenges.” Gates told reporters traveling with him he also planned on raising the issue of human rights abuses by the Peruvian military and would encourage them to take advantage of training provided by the U.S. and Colombian militaries in the subject. On April 14th, Defense Secretary Gates continued his Latin American tour with a visit to Colombia, where he planned to “offer congratulations and support for Colombia’s progress in the fight against its insurgency and the lessons it is sharing with its neighbors in the region,” according to the U.S. Department of Defense. The next day, Gates met with Colombian President Álvaro Uribe and Defense Minister Gabriel Silva Luján where he congratulated them for their “heroic” efforts against both the Revolutionary Armed Forces of Colombia (FARC) and paramilitary groups, and called Colombia an “exporter of security” and a model in the region for its fight against narcotrafficking and insurgency. In an interview given to El Tiempo, he continued to talk about Venezuela. Asked if he thought there is an arms race in Latin America, he said, “I don’t think so. In fact, if there is an arms race, it only has one runner,” clearly referring to Venezuela but without explicitly naming it. Gates then addressed the Regional Security System member states saying, “I want all the ministers to know that the United States understands the enormous challenges that you face in combating illicit trafficking and violent crime in the Eastern Caribbean, challenges that touch our shores as well.” Gates also referred to the Caribbean Basin Security Initiative (CBSI), recently allocated with $45 million for Fiscal Year 2010 and with an estimated increase of $25 million for Fiscal Year 2011. “That money will help us all improve our maritime patrol and interdiction capabilities, as well as domain awareness. It will also allow for additional joint training and exercises” and it will provide “development assistance in hopes of addressing the root causes of regional problems.” Technical working groups are still discussing how the money will be allocated specifically. QProfit system is an automated system which is designed specifically to monitor and observe the market and how it is trending. This system is mainly derived to find prospective trading opportunities. This system can be used both manually and in auto pilot mode. This gives the user the liberty to switch between modes. When the trader wants to try his hands after receiving the signals from the automated robot, he could choose to go manual. When he just wants to sit back relax and monitor what is happening, he could go for automation. Abigail and Adam discuss Secretary of State Clinton’s visit to Mexico, rethinking the MÃ©rida Initiative, Southcom testimony in Congress, and allegations of Venezuelan ties to Colombia’s FARC. A March 20 panel discussion at the Ecumenical Advocacy Days gathering, with Lisa Haugaard of the Latin America Working Group, Adam Isacson of the Center for International Policy, and Manuel PÃ©rez Rocha of the Institute for Policy Studies. Adam talks about MedellÃ­n’s rising crime rate, the reasons why violence continues to fluctuate, and a controversial effort to negotiate a “non-aggression pact” between criminal gangs. In our inaugural podcast, Adam discusses Colombia’s re-election debate, after a Constitutional Court judge casts doubt on a referendum to allow President Ãlvaro Uribe to run for a third term.